With sincerity and hard work of our professionals, we have carved a niche for ourselves in this domain by manufacturing premium quality gamut of FFS Paste Packing Machine. Being one of the renowned firms in the industry, we are decidedly involved in providing a premium quality array of Liquid Form Fill Seal Machine. 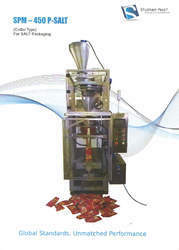 We are engaged in offering a huge array of FFS Cup Filler Machine to our customers. We offer these at market leading rates. 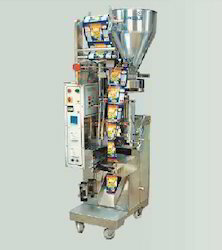 FFS CUP FILLER MACHINE SUITABLE TO PACK 1GMS. TO 200GMS. SPICE MASLA HALDI POWDER. AND 5GMS. TO 100GMS.TEA/10GMS. 5 RS. NAMKEEN FRYUMS SNACKS POPS., SEEDS ITEMS. Material: M.S. body,contact part s.s.